The George Clooney XI: G. Clooney, A. Banderas, R. Crowe, B. Pitt, R. Pattinson, J. Depp, A. Kutcher, H. Grant, P. Brosnan, C. Farrell, D. Craig. 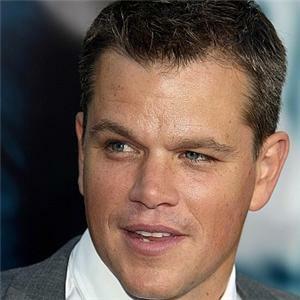 The Matt Damon XI: M. Damon, B. Affleck, D. Day-Lewis, R. Downey Jr, J. Foxx, W. Smith, T. Cruise, B. Kingsley, E. Norton, D. Washington, M. Clarke-Duncan. Damon too, was confident before the match in his pre-match interview with Mike Atherton. To the annoyance of his bunny, opening batsmen Antonio Banderas, Damon’s man-mountain fast bowler, Michael Clarke-Duncan passed a late fitness test after fears his hamstring injury would prevent him from playing. Damon won the toss and decided to field on an overcast first day and on what looked to be a turning wicket. Opening batsmen Clooney and Banderas got off to a flying start with Clooney hitting quickie Ed Norton for 2 sixes. He hit a quick-fire 90 runs off just 102 balls before being caught by minute wicket-keeper Tom Cruise off the bowling of Clarke-Duncan. Banderas fell short of his half century being bowled for 48 by veteran spinner Ben Kingsley who was on his way to achieving 600 test wickets. Sadly and unexpectedly, Brad Pitt who was strongly backed by David Gower after his performances on the County scene could not rise to the occasion and gave away his wicket for just 6 runs. Russell Crowe also continued his poor run of form with the bat, caught off Washington for 24. After such a positive start with an opening partnership of 112, The George Clooney XI were now 187-4. Ladies man and flamboyant batsman Robert Pattinson and popular all-rounder Johnny Depp were left with the mammoth task of making something of the innings. The two batted beautifully together hitting 6 sixes between them in the innings, mainly off the bowling of Edward Norton who was ploughing in at 95 mph. The partnership of 103 came to an eventual end though as Depp soon fell to the bowling of Washington, caught by Cruise for 68 runs in just 62 balls. Crowd-pleaser Depp walked off to a standing ovation for his 5 sixes and positive attitude. Clooney’s team were now 290-5. Twenty20 specialist Ashton Kutcher lasted just 15 balls before being dismissed for 1 by Clarke Duncan. Grant was next to go, out LBW for 23 off spinner Kingsley. Pattinson was next, being dismissed by an expensive Edward Norton for a solid 71 of 76 balls. Then 10,000 Twilight fans in the stadium erupted as he walked back to the pavilion, head held high. Farrell and Brosnan were both dismissed in their teens shortly after by Kingsley, leaving Daniel Craig stranded on 19 off 24, proving that this number 11 is no mug with the bat. Clooney was happy however with his team’s total of 407 runs in just one day, perhaps causing Damon to regret his decision to bowl first, one that could prove to haunt him for years to come. The Matt Damon XI got off to a bad start in their first innings with Ben Affleck dismissed for a first-ball duck, caught by Banderas off the bowling of Pierce Brosnan. Captain Damon however proved a much tougher nut to crack, digging in and playing the ‘wall’ of the innings. Day-Lewis was next to fall with a much more respectable 61 off 76 balls off spinner Grant who had come under fire recently with people questioning his ability to bowl, bat and field. Robert Downey Jr. Made a positive start to his innings before being run out for 20 off 18. Damon’s team were now 118-3 with a mammoth wall to climb. Suave stroke-player Jamie Foxx provided good support to Captain Damon who was still going strong. Foxx was eventually caught by Kutcher off Grant for 40. Will Smith came and went quickly, dismissed for 4 by a reverse-swinging Depp. Eventually, Damon himself fell LBW for 82 off 154 balls of Daniel Craig, the crowd appreciating the importance of the skipper’s innings. The team total of 262-6 seemed respectable given they were chasing 407 with decent lower-order batsmen still to come. Wicket-Keeper and Vice-captain Tom Cruise managed to hit 49 from just 69 balls but sadly wasn’t supported and finished not out with Kingsley, Norton, Washington and Clarke-Duncan all getting out on single figures. The Matt Damon XI were all out for 308, giving Clooney a first innings lead of 99. Hugh Grant had certainly answered his critics with figures of 3-78 off 26 overs. The George Clooney XI’s second innings saw some outstanding individual performances from both sides. Ed Norton was determined to claim some scalps after being carted around for 111 runs in the first innings. Banderas was first to fall for just 6, clean bowled by an outstanding ‘rip-snorter’ of a delivery by Ben Kingsley, sure to be replayed by Sky Sports every match for the rest of the summer. Norton continued and managed to remove the next 3 batsmen including Captain Clooney for 21, Nightwatchman Brosnan for 1 and Crowe also for just 1. They were now faltering on 31-4 with a lead of 130. Pitt and Pattinson tried to get stuck in and inject some sanity into the innings but both were removed by Kingsley for 21 and 20, respectively. The score was now 75-6. After a strong 68 in the first innings, Johnny Depp walked to the crease with the weight of the entire Test on his shoulders. Every bar in the ground emptied as Depp took guard. Chatter was rife around the bat with Kingsley the instigator. Depp proved unperturbed by this however as he attacked every ball from the start, unbeknown to him that he was about to play the innings of his life. Kutcher and Farrell fell cheaply to Norton and Kingsley but Grant stood strong scoring 8 off 36 balls, sticking around long enough for Depp to get his fifty. Daniel Craig was last to party scoring 12* off 23 himself while Depp struck 73 off 86 balls the other end which included 4 sixes. Thanks to the heroics of Depp, Clooney’s team finished on 182, leaving The Matt Damon XI to chases 282 to win. Ed Norton and Ben Kingsley with the standout performances for Damon’s team. Damon and Affleck made a solid start to their innings. Their intent was clear from the start when a few words were exchanged between Damon and Clooney as they strode to the wicket. Damon and Affleck reached 47 for no loss when Damon could no longer keep out the reverse-swinging bullets being sent down by Johnny Depp and was clean bowled. Daniel Day-Lewis also fell to Depp without scoring but did not leave the wicket without a final stare at the bowler. Affleck lasted a bit longer but eventually succumb to an in-swinging yorker from Daniel Craig. Damon’s team were faltering on 82-3. Robert Downey Jr. And Jamie Foxx worked hard to rebuild the innings by reverting to one-day speed. They knew they weren’t chasing down too large a total. Downey Jr. Eventually fell for 28 off 36 balls to the banana bowling of Brosnan. Smith tried to continue the one-day play but fell for 16 off 21 to Grant, who then took the scalp of Tom Cruise for just 1. Nightwatchman Denzel Washington failed to do his job and stick around as he was dismissed for a second ball duck by Depp. Kingsley then joined Foxx, hoping to stick around for the remainder of the evening; however it was Foxx who was clean bowled by Farrell for 30 on the final ball of the day. Overnight, the Matt Damon XI were on 175-8, still needing a phenomenal 107 runs to win. Kingsley and Norton however chose not to make it easy for Clooney and his team. Kingsley added 42 runs to the total before eventually getting out unusually ‘hit wicket’ to consistent Depp who had been pushing him further and further back in his crease. At 220-9, all was still possible with Edward Norton playing the innings of his life. Michael Clarke-Duncan too provided support to Norton. With Norton on 43 from 75 and Clarke-Duncan going well on 20 from 31, Damon’s team were on 279 and needed just 3 runs to win this epic Test match. Unfortunately for Clarke-Duncan, he could not deal with a 93mph bouncer from Colin Farrell and gloved it to keeper Kutcher who made a spectacular dive to his left. The Matt Damon XI were all out for 279 resulting in the George Clooney XI winning by 2 runs. Norton fell to the floor with disappointment after fighting so hard but eventual man-of-the-match Johnny Depp took time out of his own celebrations to console him, congratulating him for the passion and fight he showed. The image will go down in history as an iconic moment in sport, proving that cricket truly is a powerful and passionate game that can take a man to his emotional limit.